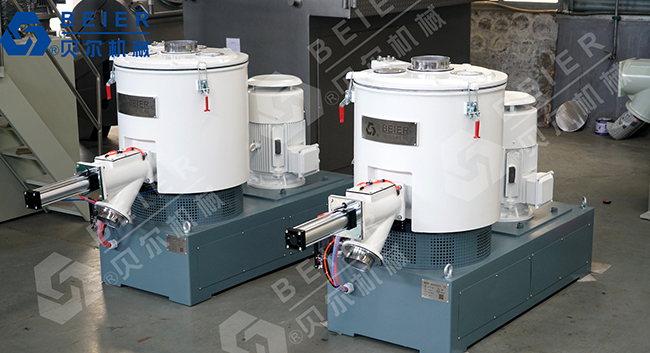 High Speed Mixing Machines are mainly used in mixing PVC and all kinds of plastic materials mixing, colouring, drying and etc in plastic, rubber, food-stuff, daily chemical industry and so on. It is the perferable equipment to produce plastic board, pipes, profiles and degradable plastics. High speed mixing machines adopt advanced design and can be operated easily, safely and reliably. They have small size, high efficiency, low energy consumption and low noise. It is an ideal choice for you to choose it. Beier Machinery is specialized in providng you with high speed mixing machine,high speed mixer machine and other mixer machines. 1. Mixed materials are made by negative pressure mixed principle. 2. The electrical instruments are all well-known imported appliances with PLC programmable control. 3. High degree of automation and speed mixing. 4. 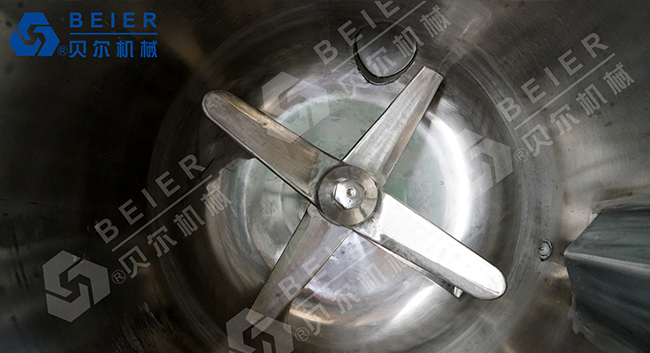 The blade was made by stainless steel pressure and passed the static and dynamic balance test. 5. Especially the coolant blade ued abroad advaned spiral mixing structure, the whole container has no dead angle, cooling speed and discharging clean.